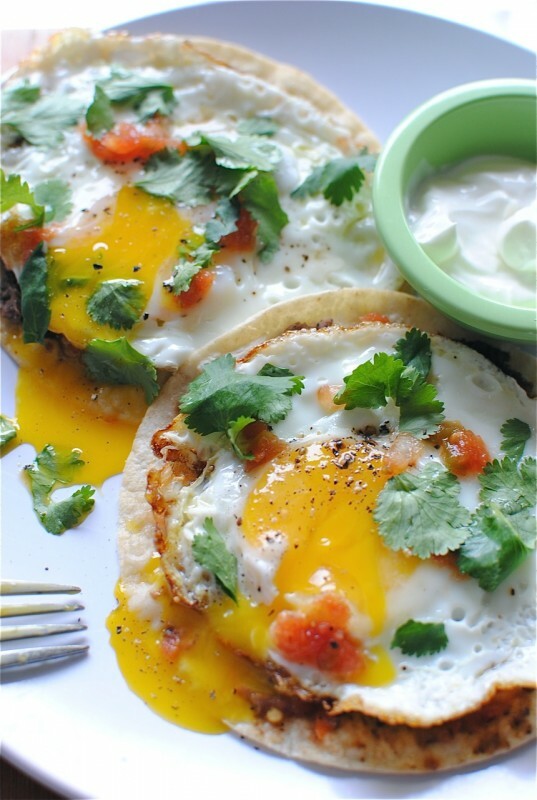 Bev Cooks created this amazing breakfast recipe for Huevos Rancheros. A crispy crispy browned tortilla topped with a mixture of black beans, garlic, chili powder, and cumin. Topped this off with salsa, sour cream, cilantro and a touch of salt and pepper and you have one delicious breakfast dish! Golden brown crispy potatoes combined with Parmesan and sharp cheddar, Greek yogurt, garlic, onion, cayenne, mustard, green onions, and seasoned with salt and pepper...what an amazing way to start your day! 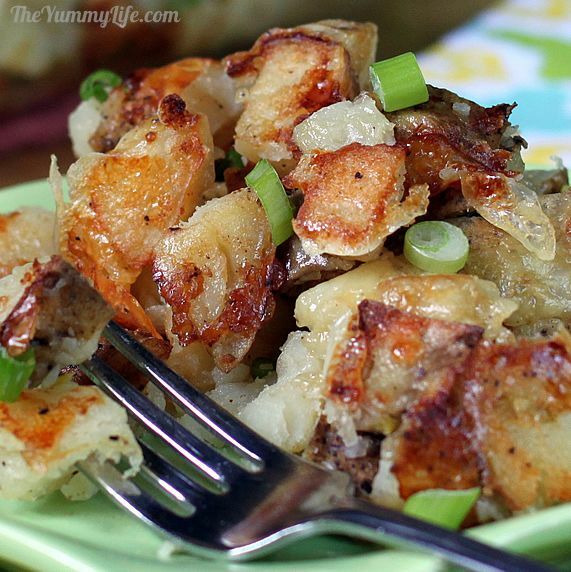 These potatoes from The Yummy Life would make for an amazing side for any meal or even a great filling for breakfast tacos. 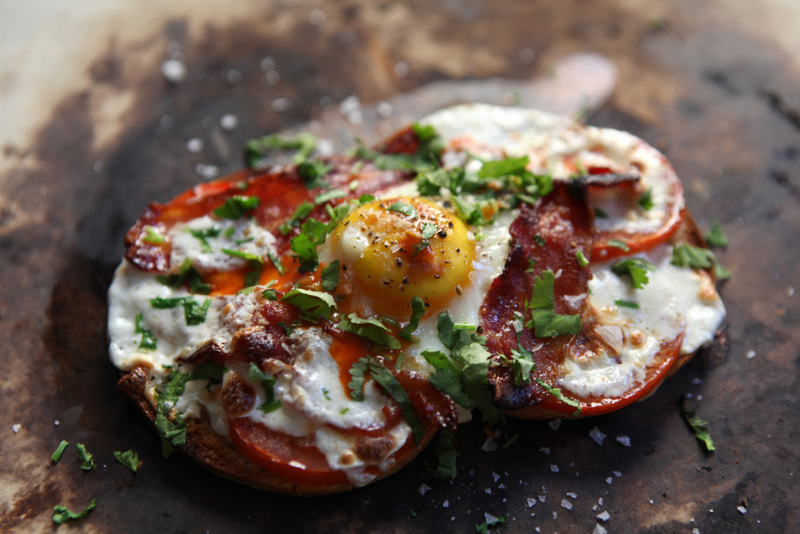 Mmmm...Breakfast Pizza! The Melting Pot has concocted an amazing pizza for breakfast with bacon , fresh mozzarella, tomatoes, and a freshly cracked egg on top. Doesn't it sound terrific? Such as versatile recipe since you can modify any of the toppings to your preference. They use a regular sandwich bread, but I think that something a little more hearty like Dave's Killer 21 Whole Grain Bread would be fabulous. Who doesn't love the smell of fresh baked bread? When it comes out of the oven the crust is crispy and the inside is moist and steamy. 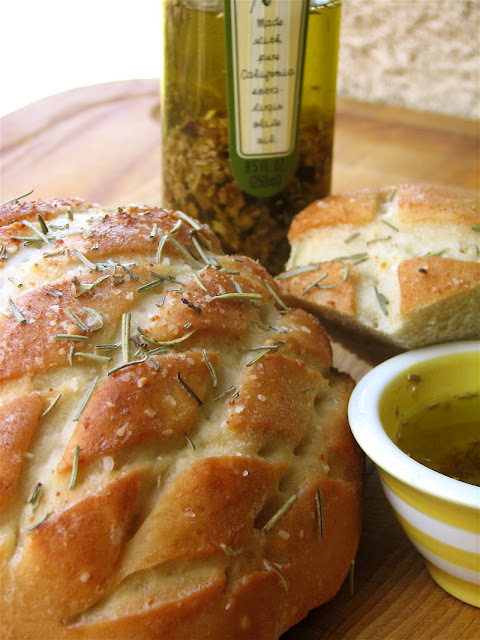 One More Moore shared this delicious recipe for Amish Country Bread. You will definitely want to make more than one loaf because this tasty homemade bread will be devoured in no time! 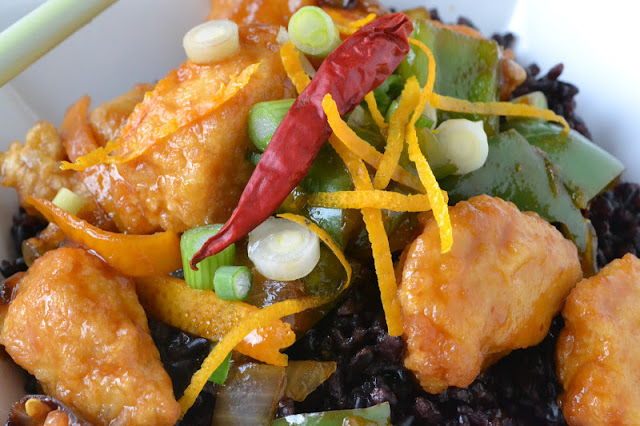 The View from Great Island shared an amazing recipe for Spicy Tangerine Chicken with Black Rice...doesn't it look incredible? 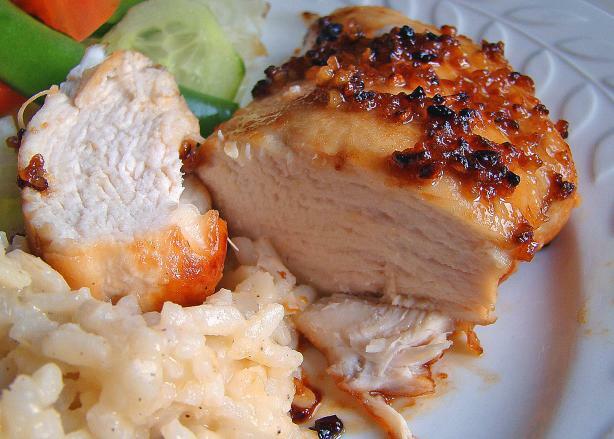 The key to this recipe is the way in which they prepare the chicken using one ingredient that a lot of Asian cooks know to use to make breaded chicken, beef, pork, or shrimp as crispy as possible and that is corn starch. Frying the chicken in peanut oil adds another layer of flavor to this dish. The crispy bits of chicken are then coated in a flavorful spicy tangerine sauce. The list of ingredient tells the whole story...chili paste, Hoison sauce, sesame oil, ginger, soy sauce, honey, brown sugar, rice wine vinegar, and so on...you get the idea. 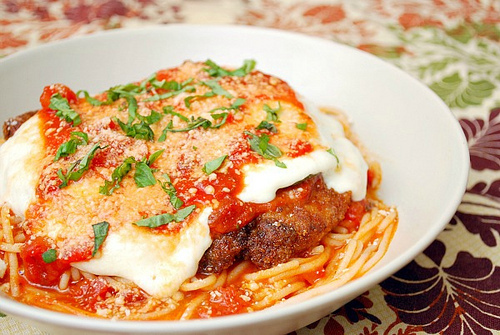 Pork Chop Parmigiana from What's Cookin, Chicago? 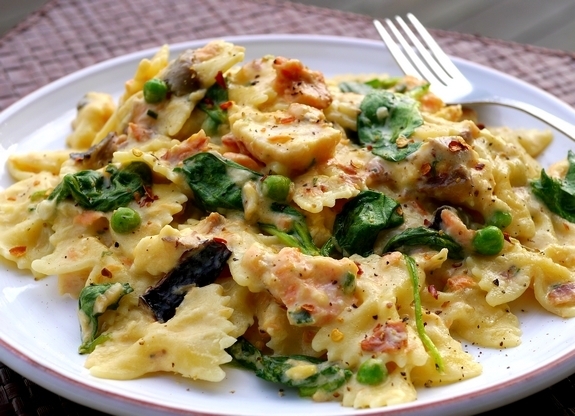 A fabulous twist on a dish that is one of my all time favorites! What's Cookin,Chicago? shared this creative idea for Pork Chop Parmigiana. Breaded pork chops cooked to a golden brown and topped with marinara sauce, fresh mozzarella, and basil. Place this on a bed of fresh pasta and a side of crunchy fresh bread and you have one fabulous meal that your family will adore! 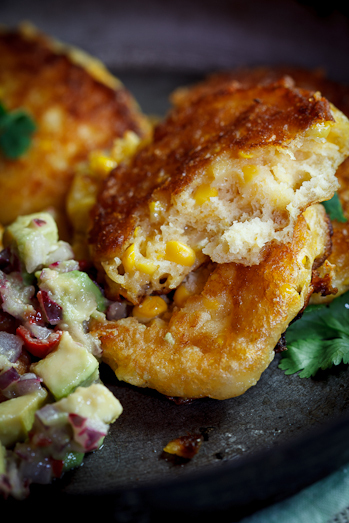 This recipe for Cheesy Corn Cakes with Spicy Avocado Salsa from Simply Delicious is amazing! 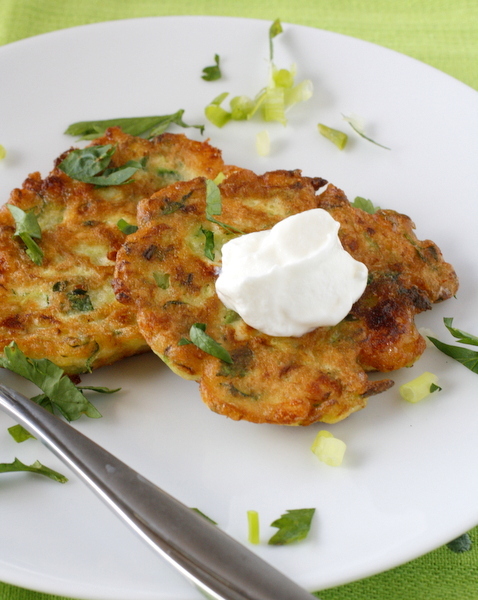 These cheesy fritters go perfectly with the avocado salsa. The combination of creamed corn, sharp cheddar, paprika in the corn cakes and the coriander(cilantro), chili, red onion, and avocado come together to make one unforgettable bite! Oh my! 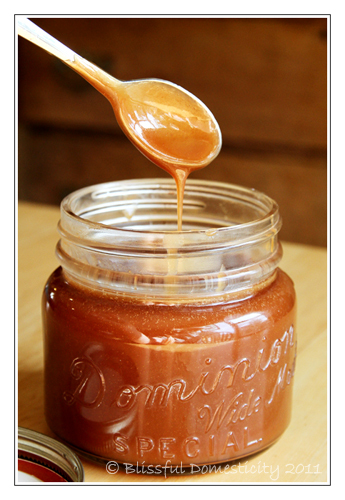 Homemade Salted Caramel Sauce. Doesn't it sound amazing? I can taste it now and can imagine using this in coffee, on ice cream, drizzled over thick fudge brownies, or layered between two layers of homemade fudge. 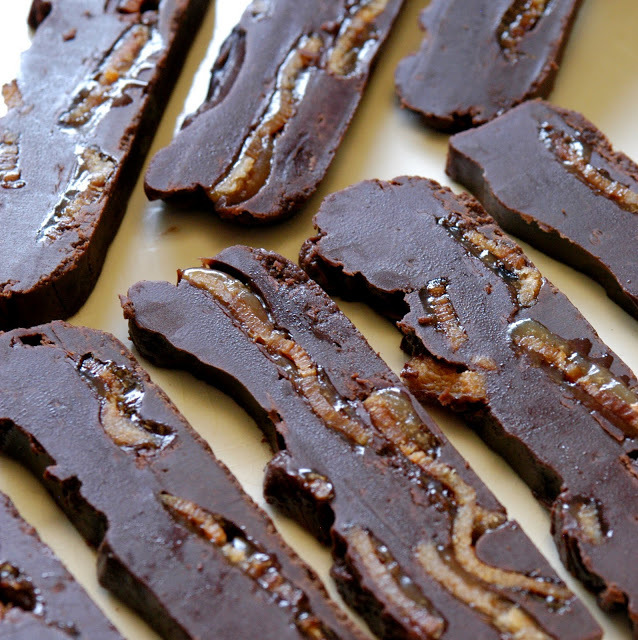 5 simple ingredients and you can too can indulge in this amazing treat from Blissful Domesticity! 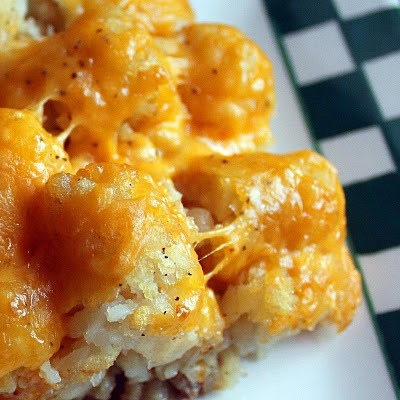 Believe it or not, the first time I had a tater tot casserole was at a friend's home when I was in high school. I grew up eating a lot Asian food, so this standard American casserole dish was something that was definitely not on the menu at my house. This is truly a comfort food item...ground beef and tater tots immersed in a cream sauce covered with oodles of cheese. How could you not love it? This recipe from Ginger Snaps is simply genius! 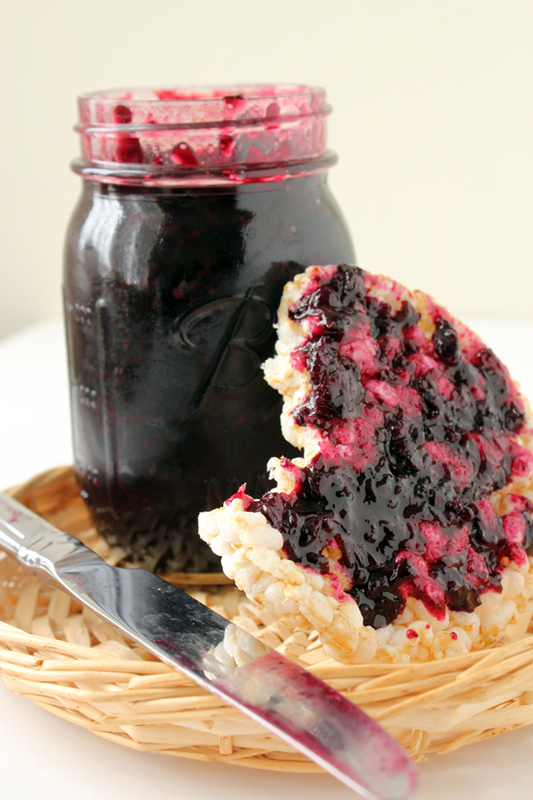 Homemade Lemon Blueberry Jam...doesn't it just sound divine? A simple 4 ingredient recipe that would be great on muffins and breads. 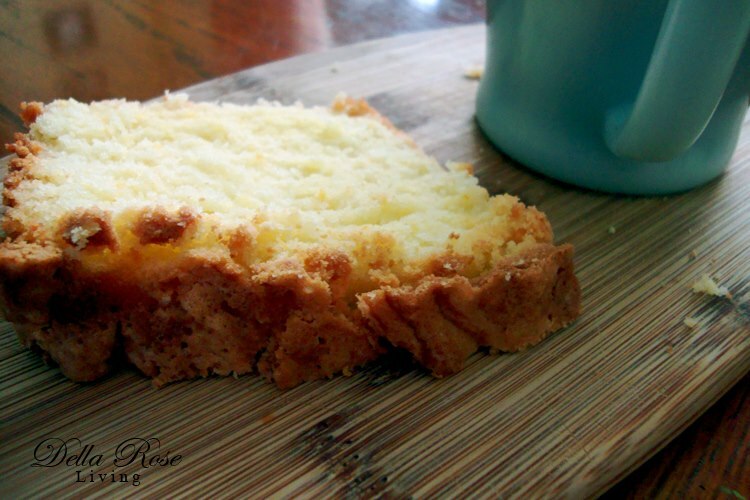 I could see this paired with lemon muffins, homemade pound cake or spread on your toast. What a great way to start your day! Maple and cream pie don't often go together, but after developing this recipe, I don't know why - they were made for each other! Using real maple syrup assures that you will not have an artificially strong maple flavor. This pie is fluffy, creamy, and lighter than average. Unlike most cream pies, the whipped cream is folded into the filling instead of sitting on top. If you want a more traditional cream pie, simply top the pie with the whipped cream instead of folding it in. Mix cake ingredients and bake in a hunt pan for about 1 hour at 350 degrees. Prepare glaze in a medium saucepan and mix in everything but the rum. Boil for 3 to 4 min take off from heat and add rum. Cook for 1 more min then poke holes in the cake with a fork. Add little of glaze then let it set for 5 to 10 min then f flip cake on to the dish you want and add the rest of glaze. Just remember the longer it sets the better it is. Enjoy! 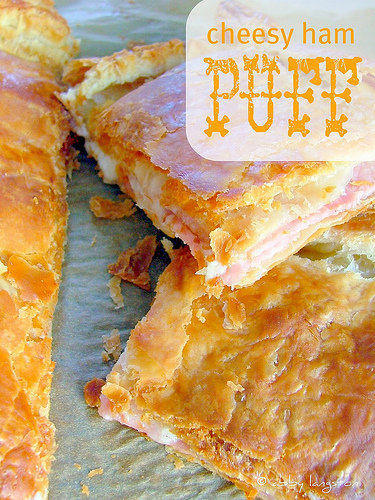 There's nothing better than crispy, buttery puff pastry dough....especially when it is wrapped around mozzarella and ham. Confubulation in the Kitchen posted an amazing creation using these three simple ingredients and some little extras such a nutmeg to add an additional flavor. My great Grandmother has always been an inspiration to me in my life. More so now as an adult now that I’m a wife and mother. I named my first child after her and knew that I always would. Julia. Has such an old feel to it and I have always loved the way it rolls off my tongue. Her full name was Julia Della. Grandmother had a wonderful sweet tooth! You hear people say ‘a horrible sweet tooth’ but I like to think it is a wonderful thing not a horrible thing. She loved to bake but in her later years Grandma, her daughter, would make the cakes for her. She always had two in the fridge at all times and would cut a piece a show dog couldn’t jump over for dessert after lunch AND dinner. 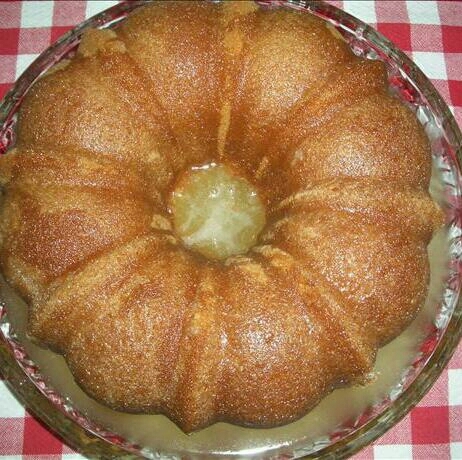 She had two Pound Cake recipes but this one is by far my favorite! I have added my own little touch to it that I think she would enjoy and wouldn’t mind that I have done so. I do not know about your family, but in our home we consume a lot of chicken. The problem is that chicken has very little flavor on its own. Finding quick and easy ways to prepare this meat is always a challenge. I found this amazingly simple recipe that calls for only 4 ingredients and is a cinch to make. Though it is winter, I still love a really great potato salad. There are so many variations out there with everything you could possibly imagine. 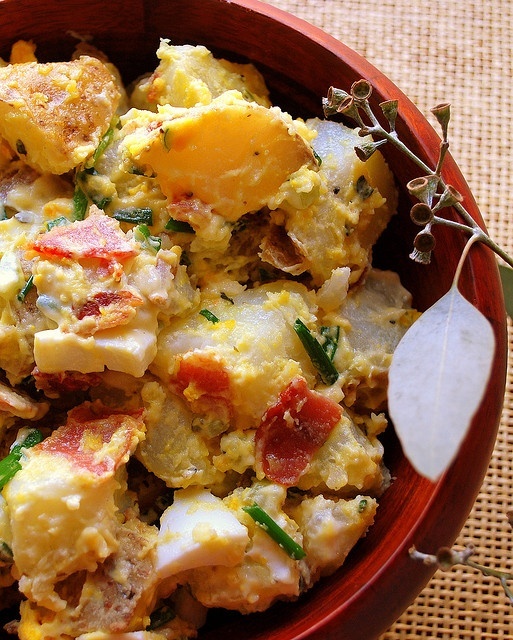 Over at The Cutting Edge of Ordinary they have a fabulous recipe for Egg Potato Salad. I think the addition of eggs, chives, thyme, and bacon really set this recipe off! A very savory side dish that would pair us perfectly with some spicy crispy fried chicken...don't you think? Heat waffle maker; spray generously with cooking spray. if you do not give it a good coating you will have one crusty sticky mess (trust me...lol). Remove cinnamon rolls from can. Unroll cinnamon rolls onto a baking sheet and sprinkle with chopped bacon pieces. Roll back up and set aside. Meanwhile, in small bowl, stir together reserved icing, powdered sugar, milk and vanilla until glaze is smooth. 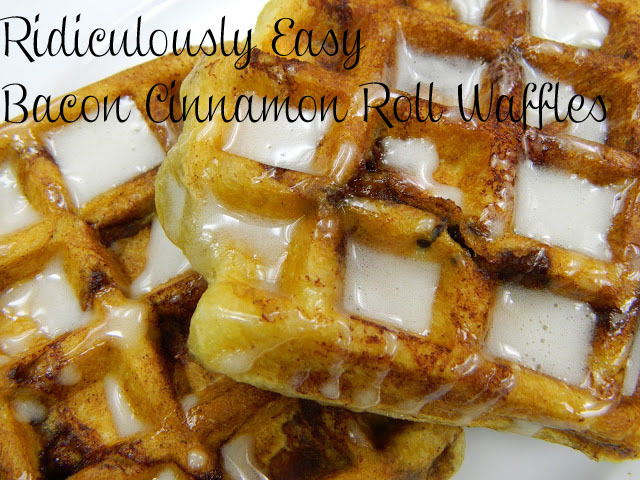 Mix with cream cheese icing that came with cinnamon rolls. 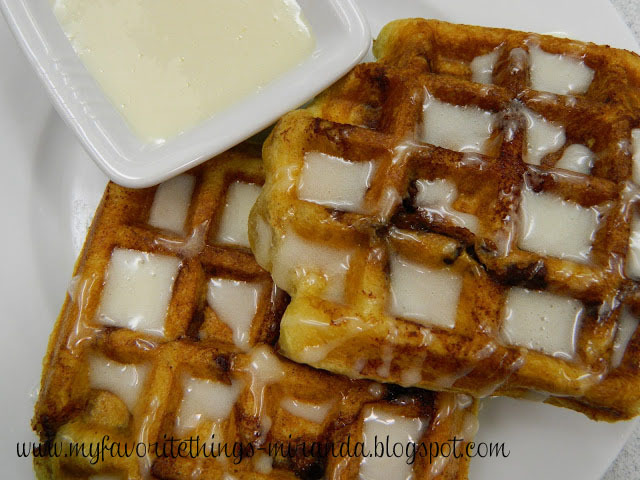 Drizzle glaze over hot waffles. Enjoy! *Pre the bacon the day before to save time. Place tater tots or hasbrowns (2 per serving you plan on making) and place them in a medium sized mixing bowl. 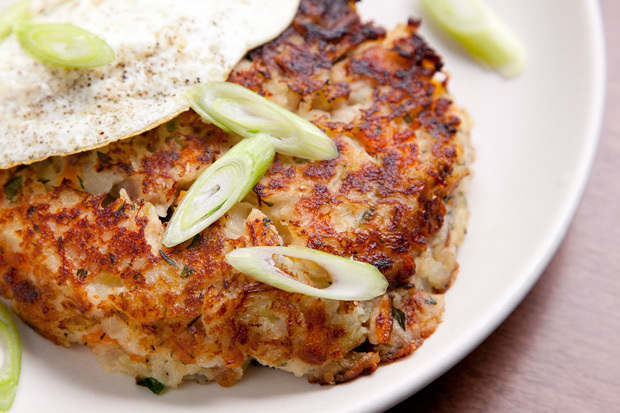 using your hands, mash the hashbrowns until crumbly. Add grated cheese. Squeeze into lemon sized balls and place on a heated waffle iron. Press the lid down to shut. Because the potatoes are dense you might have to apply pressure to get the lid closed. Cook until light brown and crispy. Remove from waffle iron. Add salt and pepper and sprinkle with additional cheese if desired. Top with scrambled eggs, sausage gravy or just enjoy them plain with a little ketchup on the side Enjoy! Whoa....did I read that right? This amazing recipe from Culinary Concoctions by Peabody really goes above and beyond your typical fried shrimp. 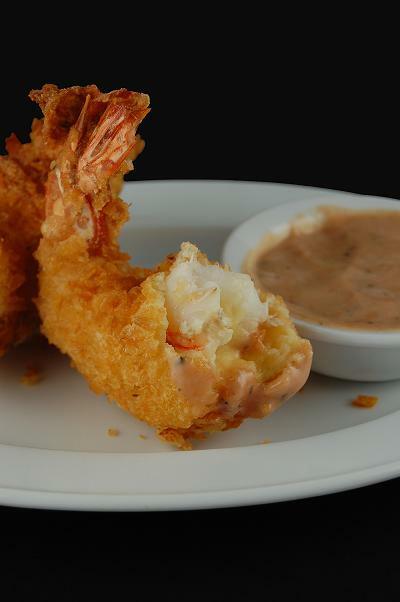 The name along says it all....Potato Chip Crusted Cheesy Mashed Potato Stuffed Shrimp. Shrimp coated in cheesy mashed potatoes and then rolled in potato chips and then dipped in an egg wash, dredged in rice flour (which makes them super crispy) and then again into the egg wash and finally rolled in crushed potato chips? Oh my goodness....can you imagine what an amazing appetizer that would be for a party? 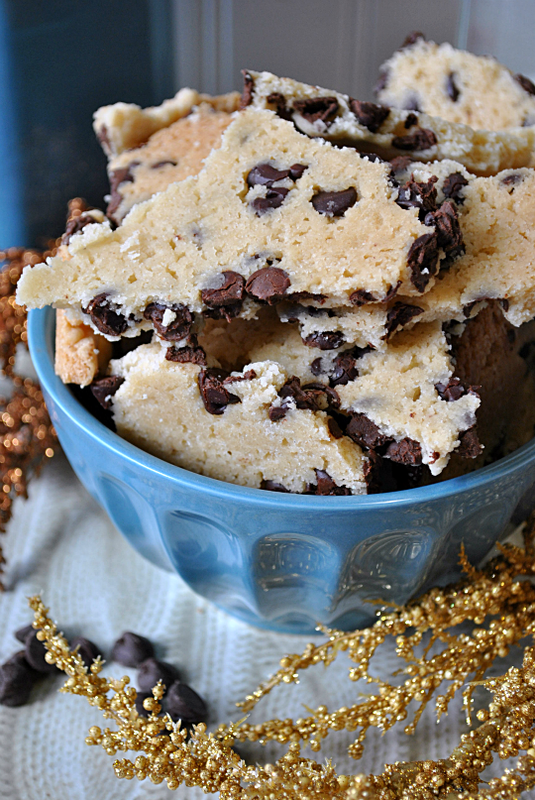 Until now....I've never heard of Chocolate Chip Cookie Brittle. I think that peanut brittle is one of the greatest treats ever created, so I am guessing that with the addition of chocolate chips that the yumminess factor will increase by 10! The recipe has all of the standard brittle ingredients...butter, vanilla, salt, and sugar. The two extra additions are the flour and chocolate which adds to the denser cakiness of the brittle. Some people are so creative and I have a feeling this recipe is going to become a standard treat for parties from now on. What a fabulous idea for leftover holiday cheese and smoked salmon....we just happened to have both in our home! Noble Pig has this amazing recipe for using up any of those pesky appetizer leftovers you may have sitting in your fridge. The recipe is super simple and though the recipe calls for fresh spinach, I am certain that any type of green or leftover vegetable platter items (snap peas, baby carrots, mushrooms, etc.) would work well. As a child, I grew up eating very dry pork chops and ever since that time had an aversion to them. No matter what others said there was no way I was eating a pork chop....until now! 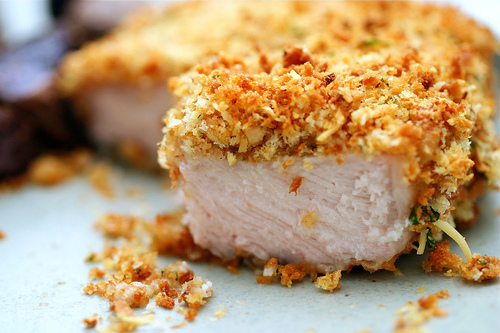 After seeing this amazing recipe from Smitten Kitchen for Crunchy Baked Pork Chop. The pork chops are brined and then dredged in flour, dipped in a seasoned egg wash and coasted in a savory homemade bread crumb mixture. The pork comes out amazingly tender and delicious. This recipe will make you a believer! In our home, one of our favorite types of food is Indian....especially anything that is cooked in a spicy curry sauce. The hotter...the better! What we also love is a big plate of warm naan to eat with our meal. 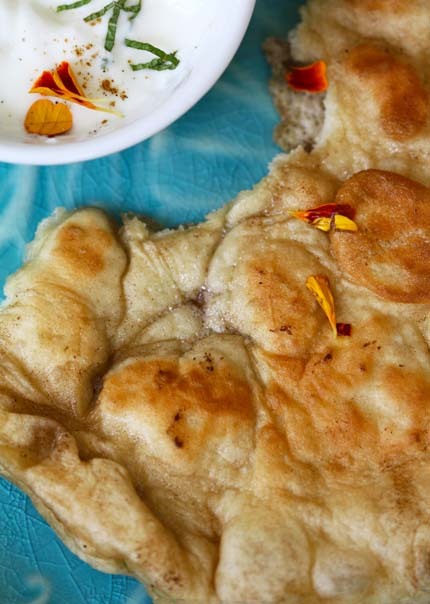 I have to admit that I've never made homemade naan, but after seeing this incredibly easy recipe on Pinterest I plan on making this on a regular basis from now on. You too can now make naan at home in about 15 minutes or less! 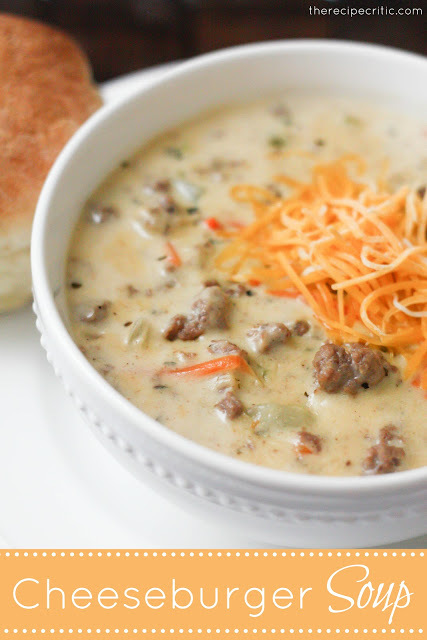 This is a really great soup for those cold winter days...Italian sausage, vegetables, cheese and spices combine to make a creamy and delicious soup. 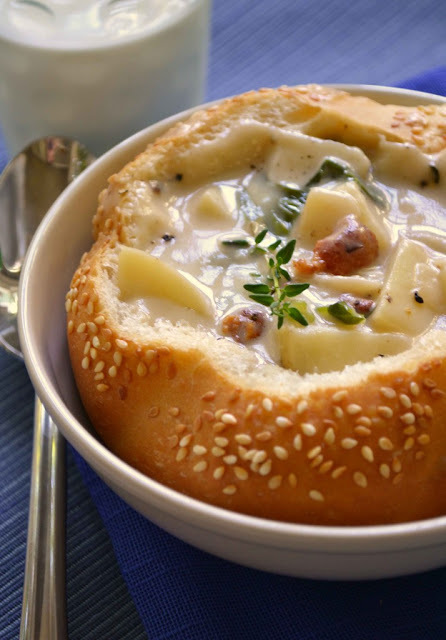 Pour into a bread bowl and you have a quick and delicious meal that everyone will love! Mix all the measured ingredients in a small bowl until combined. Season to taste with salt and pepper; set aside. Place 1/4 cup of the aioli, the celery, chives, and cilantro in a medium bowl and stir to combine. Fold in the crabmeat and season with salt and pepper as desired. 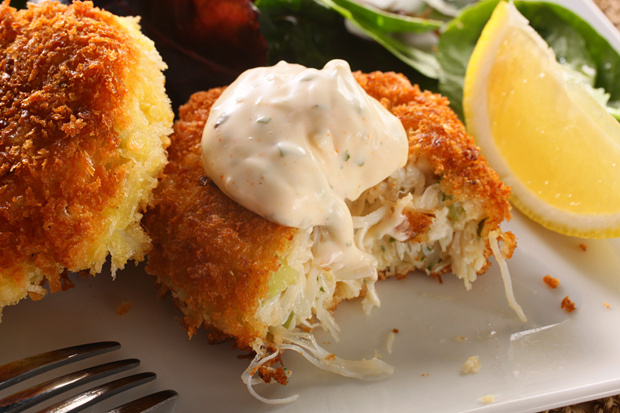 Using a 1/4-cup measuring cup, scoop 10 portions of the crabmeat mixture and place on a large plate or baking sheet. Wet your hands with warm water and gently pack each portion into 3/4-inch-thick disks (about 2 1/2 inches in diameter). Place the flour, eggs, and panko in 3 separate shallow bowls for dredging the cakes. (Keep in mind that without a binder, the cakes will fall apart as you work with them. But don’t worry; do your best to re-form them as you go.) First coat the cakes in flour, shaking off any excess. Next coat them with egg, and finally coat them with panko, placing each back on the baking sheet as it is dredged. Line a plate with paper towels; set aside. Heat a large frying pan over medium-high heat. Add enough oil to just coat the bottom of the pan. Place half of the cakes in the pan and cook until golden brown and crisp, about 2 to 3 minutes per side. Transfer to the prepared plate. Repeat with the remaining cakes, adding more oil to the pan as needed. Place 1 or 2 cakes on a plate and top with a spoonful of the remaining aioli. Serve immediately with a lemon wedge. Melt the butter over medium-low heat in a large saucepan or frying pan until foaming. Sprinkle in flour while constantly whisking, and cook until raw flavor is gone, about 1 to 2 minutes. Slowly add broth, whisking constantly until mixture is smooth. Add the milk and again whisk until smooth. Bring to a simmer over medium heat and cook, whisking occasionally, until slightly thickened, about 10 minutes. Remove from the heat, add turkey and vinegar, and stir to coat. Season well with salt and pepper. 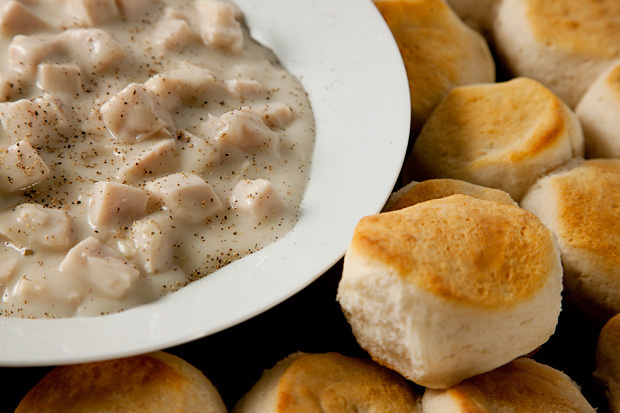 Serve with biscuits. Heat 2 tablespoons of the oil in a large nonstick frying pan over medium heat until shimmering. Add the carrot, celery, onion, and thyme, season with salt and pepper, and cook, stirring occasionally, until the onions and carrots have softened, about 10 minutes. Transfer the mixture to a large bowl and wipe the pan clean with a dry, clean towel or paper towels; set the pan aside. Add the remaining measured ingredients to the bowl (except for the oil) and stir to combine. Using your hands, form the mixture into 6 patties (4 inches wide, about 2/3 cup each) and place on a baking sheet. Heat the remaining 2 tablespoons of oil in the reserved frying pan over medium heat until shimmering. Add 3 of the patties and cook undisturbed until the bottoms are dark golden brown, about 8 minutes. Using a flat spatula, carefully flip the patties over and cook until they’re dark golden brown on the other side, about 8 minutes more. Transfer to a large plate and repeat with the remaining patties. Serve immediately. I do not know about you, but I am one of those loyal followers that every year buys half a dozen boxes of Girl Scout Samoas and Thin Mints. If you are also one of these folks who anxiously awaits winter to purchase your annual fix of Girl Scout deliciousness then this recipe is for you Taking the best from Samoas and making one incredible cheesecake. 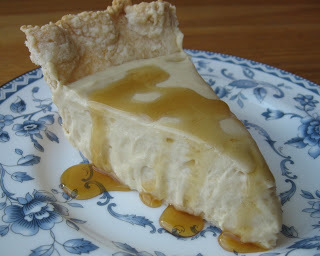 The recipe begins with a sugary browned butter cookie base covered with a creamy cheesecake. 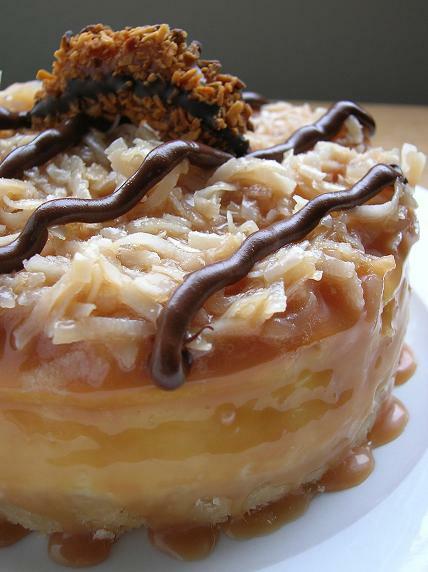 It is then topped off with homemade caramel sauce, semi-sweet chocolate and more coconut. How could that not be good? 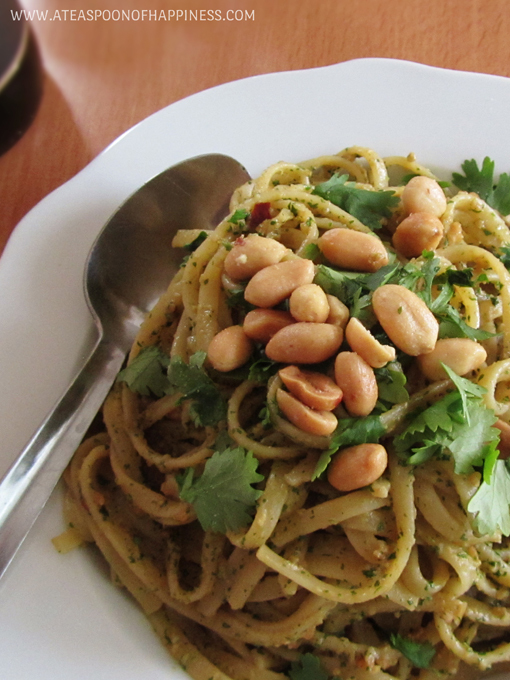 I love pesto and this recipe for cilantro peanut pesto with linguine looks incredible. I never would have thought to make a pesto using cilantro and peanut butter as a base for a linguine pasta, but the combination of these flavors paired with ginger, lime, soy, red pepper and garlic sounds like a winner! 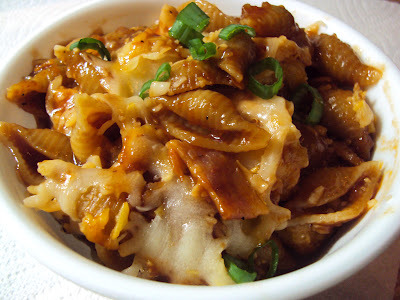 Barbecue sauce, chicken, bacon, cheddar, scallions combined with pasta...you bet! I will use any excuse to use barbecue sauce...it is my favorite condiment hands down! You could make this recipe even easier by using rotisserie chicken for extra flavor, putting it together ahead of time and placing in the fridge until ready to use. Bake for 30 minutes and you have a really quick and tasty weekday meal! 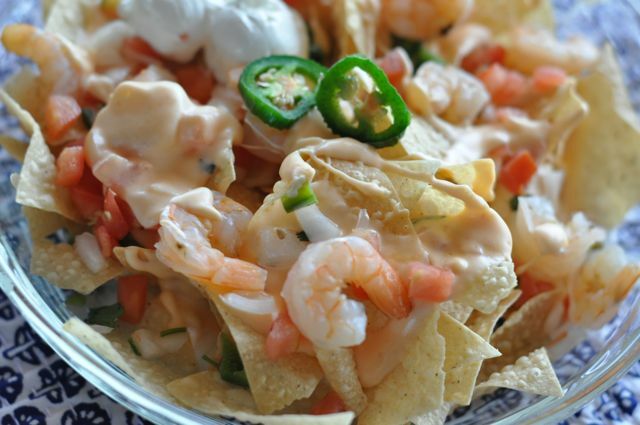 This recipe for seafood nachos from Copy Kat Recipes looks amazing! The combination of a three cheese creamy sauce, sweet shrimp, spicy jalapenos and cool sour cream makes for one unique seafood appetizer. You could even step up this recipe by adding thing such as lump crab meat, scallops or smoked salmon. Either way...this recipe is definitely a winner! I believe that one of the best combinations of salty and sweet are Reese's Peanut Butter Cups! 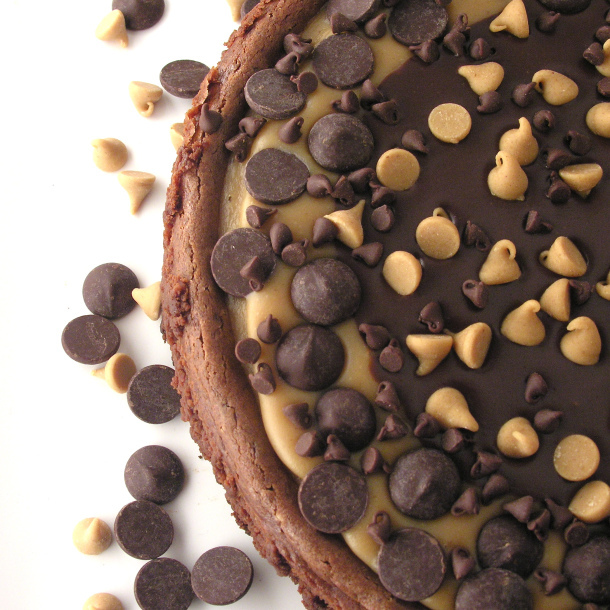 After seeing this incredible Peanut Butter Cup Cheesecake from Easybaked....I fell in love! 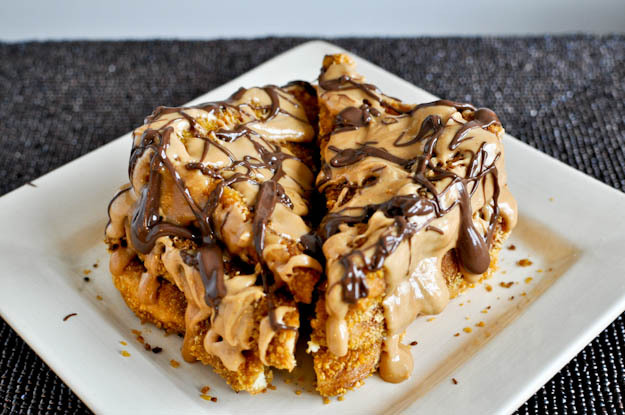 A chocolate cookie crust, cream cheese, chocolate AND peanut butter...pure perfection! 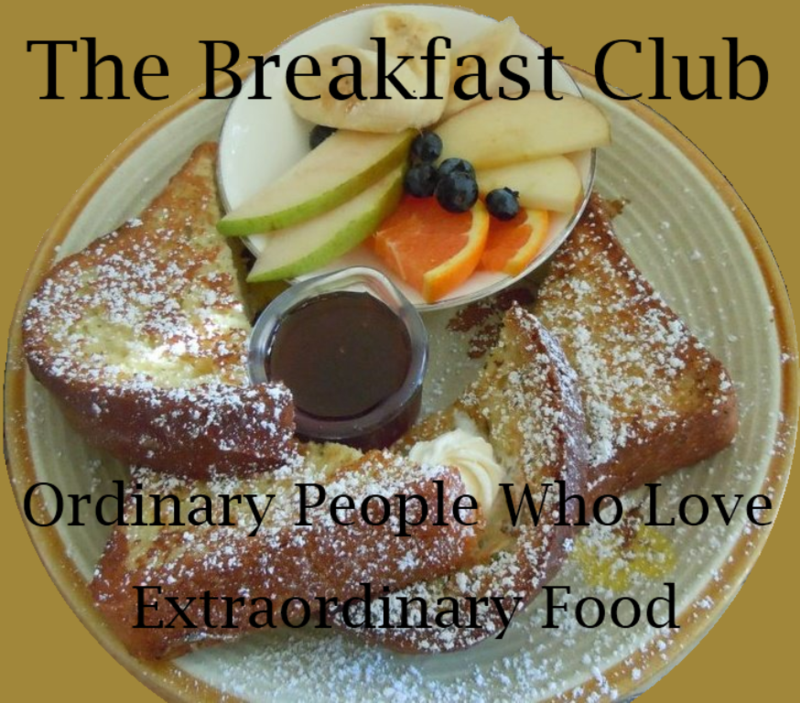 This French toast is made crispy by the use of crushed cornflakes. It takes French toast to a whole new level… making it even more crunchy on the outside while the inside stays soft and melt-in-your-mouth delicious. And the peanut butter? Well, the peanut butter gets melted and smashed in between each layer, then drizzled on top. And as if that isn’t enough, splatter a few spoonfuls of melted chocolate on top to finish it off. I’m not sure if this is breakfast or dessert, but since I like to eat dessert for breakfast, it certainly works for me. Oh, and this recipe may not have bacon in it, but a few pieces on the side won’t hurt. Or a few pieces layered in between the bread? The possibilities are endless! 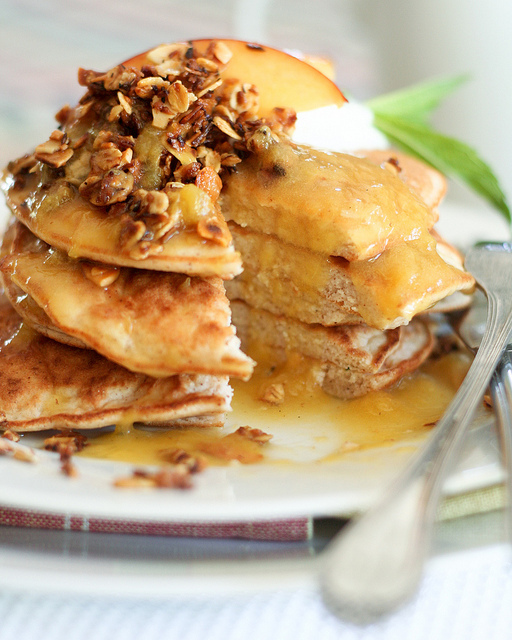 What's great about this recipe for Peach Cobbler Pancakes is that it uses coconut flour instead of wheat flour making them gluten free. The sweetness of the peaches, coconut and honey paired with the crunchiness of the rolled oats is a fabulous combination. If you cannot find coconut flour, you can always substitute your favorite pancake batter recipe for the one in the recipe. 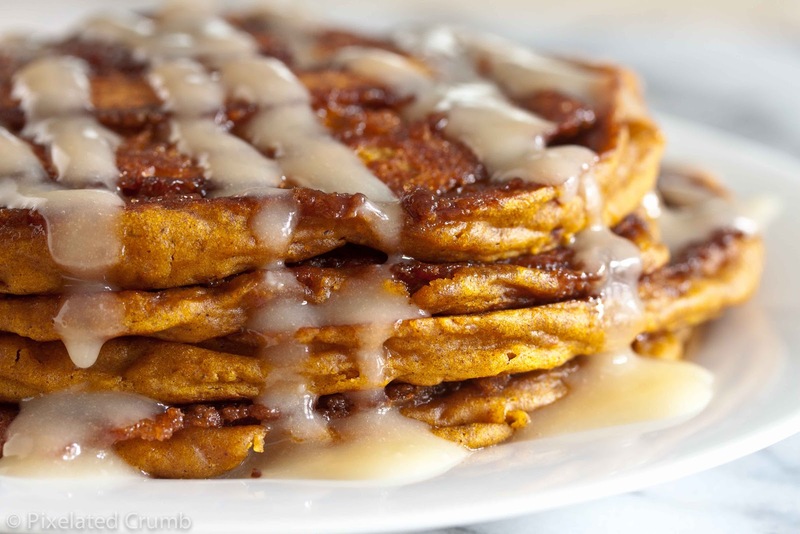 Allow me introduce you to the most decadent, extravagant, and tastiest pancakes you have ever met: pumpkin cinnamon roll pancakes. These fabulous go-getters go above and beyond the mere pancake (which, let’s face it, can be pretty fantastic all on its own). They’re part pumpkin pancake, part cinnamon roll and if you’ve heard of anything more genius than that, well, I’d like to hear about it. 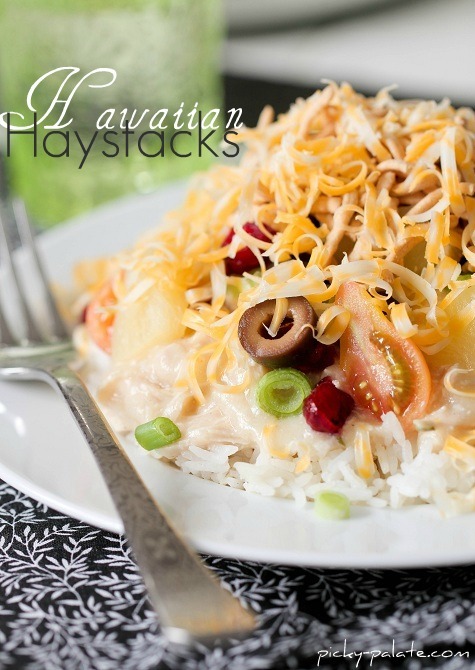 Has everyone heard of Hawaiian Haystacks?! I had a friend over for dinner last week and she had never heard of or had Hawaiian Haystacks! I couldn’t believe it. We had this dinner all the time in Arizona, lol! Maybe it’s just an Arizona thing. If you haven’t had this kind of dinner before you are in for a treat. It’s basically rice layered with a creamy chicken soup like gravy and topped with all kinds of fun toppings as you can see. It’s great to serve when you’ve got a lot of people over so everyone can make their own style. These were absolutely wonderful. 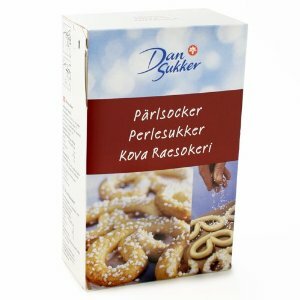 They are crispy and salty on the outside and soft and pancake-like on the inside. I couldn’t stop eating them! Even my husband loved them, which was a surprise since he claims to not like feta cheese. They are a little bit of effort to make, but so worth it. They are especially wonderful right around now when most people have an abundance of zucchini. 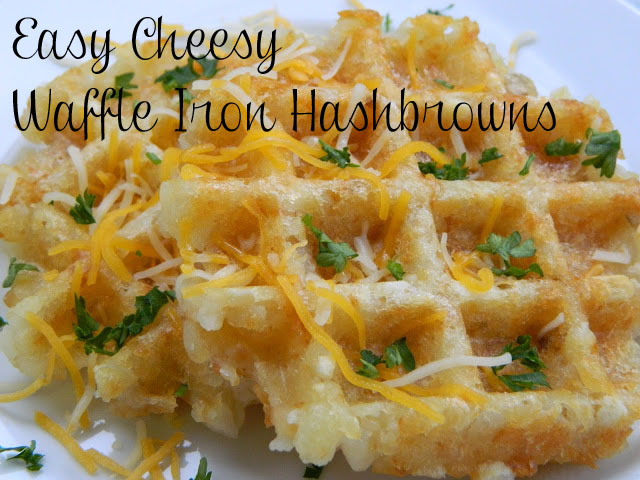 If you like hash browns, I’m pretty sure you will like these. I hope you try them!